Sue Stone grew up in San Antonio Heights in the 1950s and ’60s, attended Sierra Vista Elementary, Upland Junior High and Upland High, now living in Ventura County. She found my blog and enjoyed mentions of “old” Upland. “I very well recall my family going to the Sage Hen for dinner on special occasions. When it was changed to New China, I don’t think we ever went back. 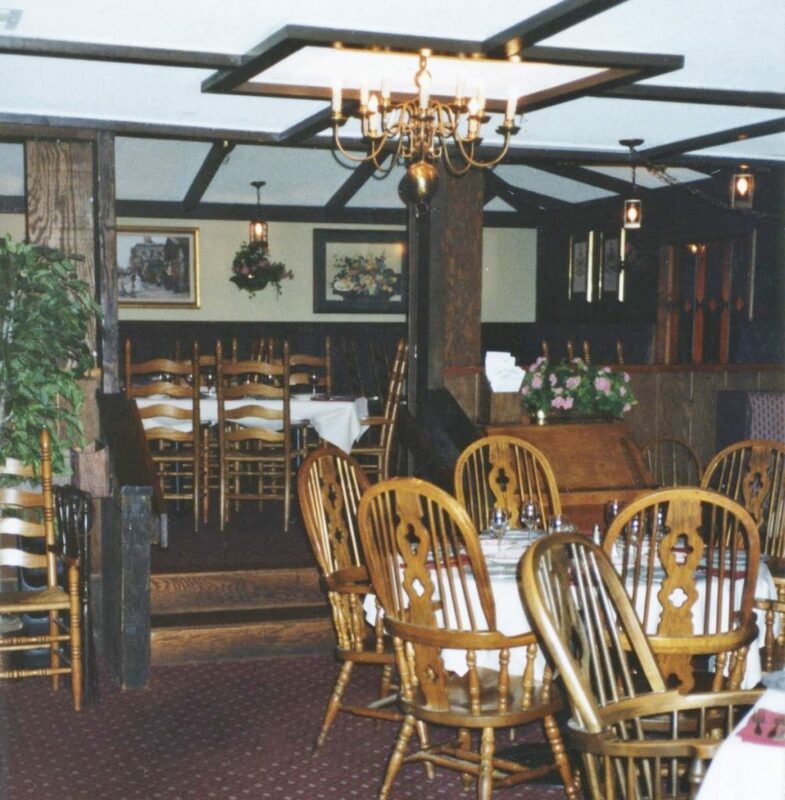 We also would go to the Sycamore Inn on very special occasions. I remember when a prime rib dinner was something like $3.95, and then when it went to $4.95, my father was incensed. “Another restaurant I loved was Martinez’s on Foothill Boulevard, and their tacos were the best I’ve ever had over all these years. I tried to search out the recipe online, but I was never successful. Other places from the old days: Stinky’s at the NW corner of Mountain Avenue and Foothill Boulevard, the Magic Lamp on Foothill, Taka Taco on the west side of Euclid somewhere south of 11th Street, The Stuffed Shirt at the NW corner of Foothill and Euclid, Betsy Ross Ice Cream on the north side of Foothill, and the Donut Shop on the east side of 2nd Avenue. “As an added piece of information, across the street somewhere from this church was a tiny, old market, the name of which escapes me, probably because everyone in the Heights referred to it as ‘the little store.’ It had one of those screen doors that banged whenever someone walked in or out. It was like something out of Mayberry. Sunday’s column elaborates on a blog post here last month about the smudging days, rounding up comments about that post from this blog as well as various Facebook pages where it appeared. Also: the proverbial more items from around the valley. 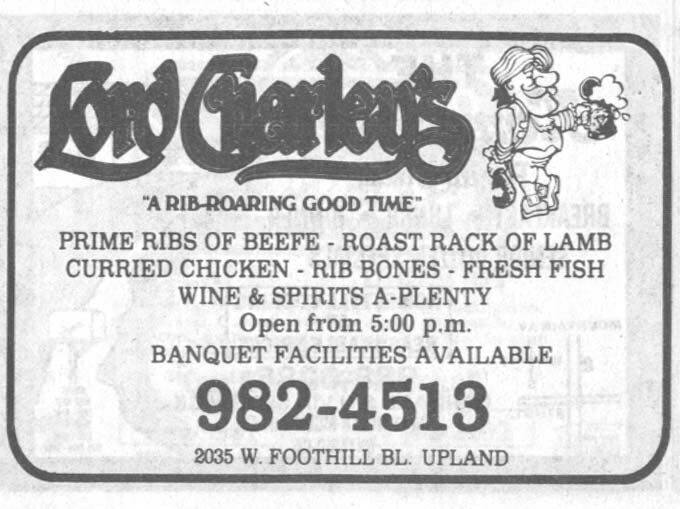 Lord Charley’s (2035 W. Foothill Blvd., Upland, at Central Avenue) operated from 1971 to 1991, followed by another decade as Charley’s Pub and Grill, which closed in 2002. Sunday’s column (Aug. 6, 2016) will be about the restaurant. Here are some photos courtesy of co-owner Linda Keagle and phone directory ads courtesy of the Ontario Public Library’s Model Colony History Room. 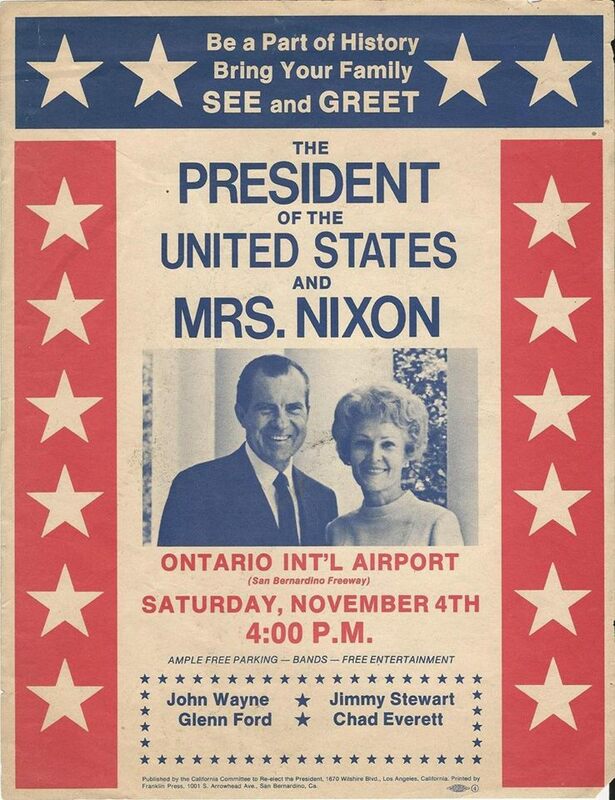 The above ad was in the 1972 phone book. The above ad was from 1980. The ad above appeared in 1982. The English lord is now going hatless. And he’s eating as well as drinking. 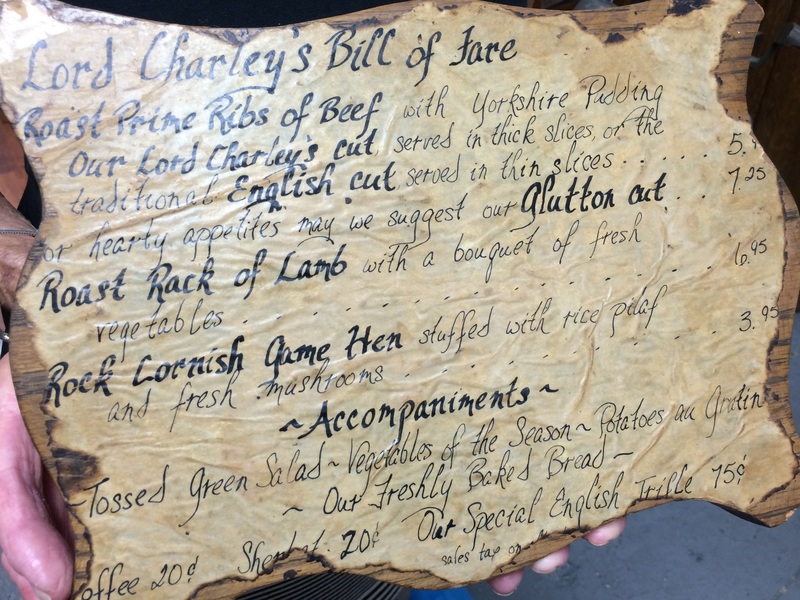 Linda brought a menu to show me, mounted on oak. 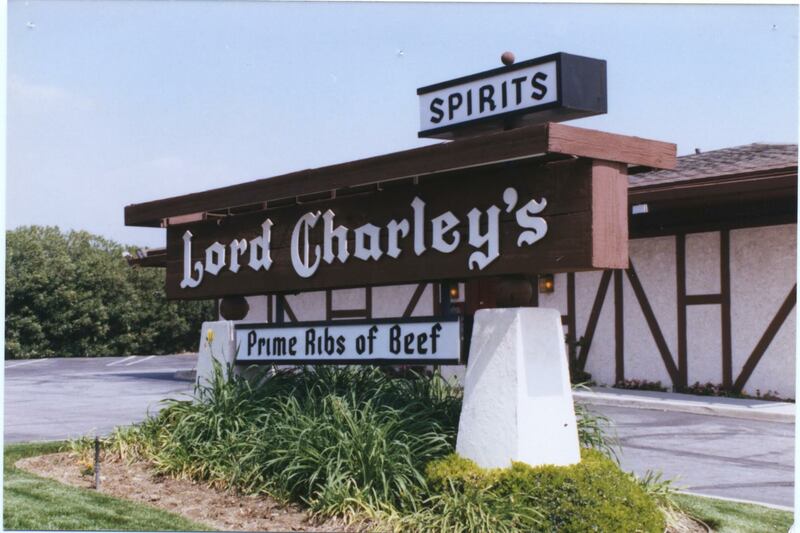 Did you ever eat at Lord Charley’s or Charley’s Pub? What do you remember? Were you there? If so, leave a comment with your memories. Remember “the dips”? You might at least remember my blog post about them in February. Now I’ve memorialized them in a column — Sunday’s, in fact. Above, the vacant lot where Mustang Books used to stand. 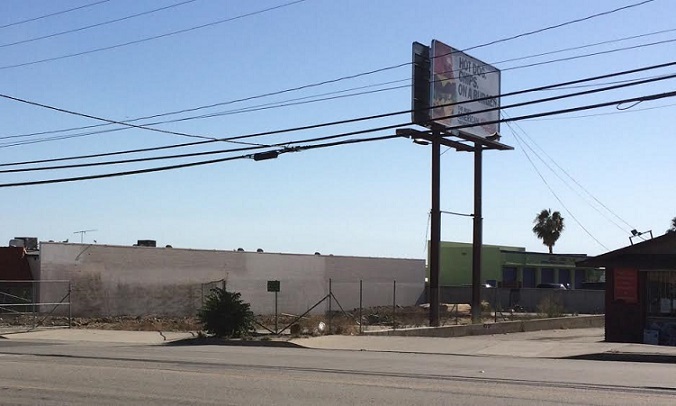 “Every time I pass the site of the former adult bookstore on the west side of Central just south of Foothill I am reminded of an earlier hobby shop that occupied the building. “It was the 1960s and the concrete block building at the front of that lot was owned by a man named Don Domes and operated under the name Don’s Hobby Hut. “This was at the time the only decent place to buy model cars and airplanes, early remote control aircraft and other hobby stuff. “Don was a trendsetter in that he even had discontinued Revell or Monagram plastic model kits up on the high shelf available for some exorbitant price for those that were real aficionados. “That place may have kept me alive in my elementary school years even into early teens. “I don’t know that anyone’s mentioned it and it certainly doesn’t show any Google searches but I thought I would reminisce about it anyway in case it comes up in other conversations about local history. Thanks, Michael. 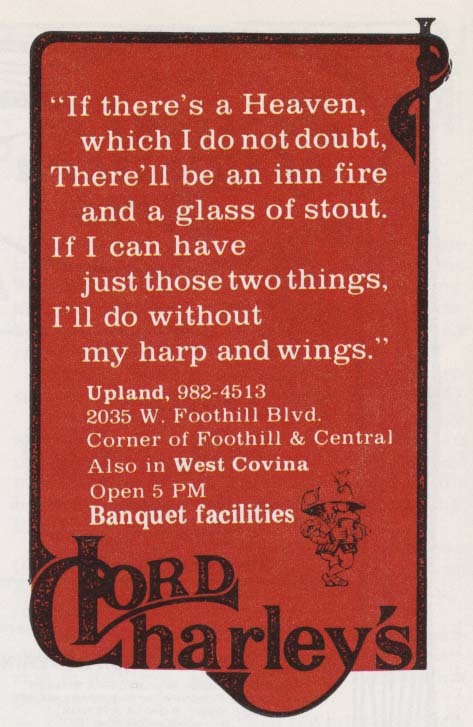 Now, if someone ever Googles “Don’s Hobby Hut Upland,” they’ll get one useful result. Update, September 2017: Richard Wolfe emailed after finding this post on Google. He said as a boy he practically lived at the store, spending his allowance there every week. His best friend lived in an apartment above the store. “I thought this was the coolest thing ever,” he said. 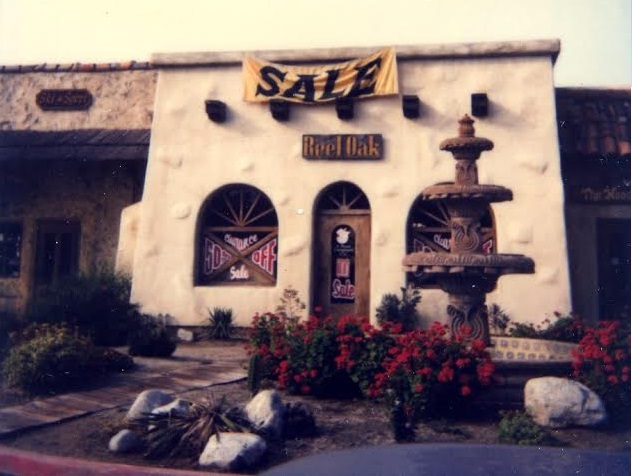 Eventually he did work at the store after its move from 8th Street to Central Avenue, and briefly owned it in the early 1990s, until the economy and other issues shut it down. Wolfe, who now lives in Redlands, hadn’t known the building had been torn down until having a dream that it had been torn down, and then finding this post and learning it really had been demolished. That’s the way it goes sometimes, doesn’t it? I’ve heard of “the dips” and “the bumps,” both of which were wiped out by progress but which were beloved by young people. Some of you commented on them a few years back on this blog on an unrelated post. 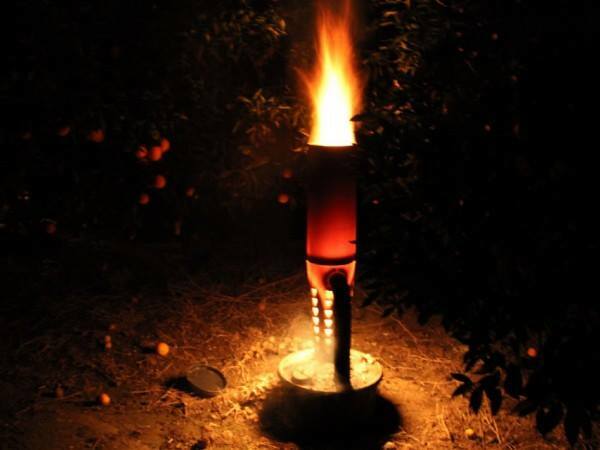 But then this photo popped up on Facebook’s “Growing Up in Upland” page, courtesy of Darin Kuna. 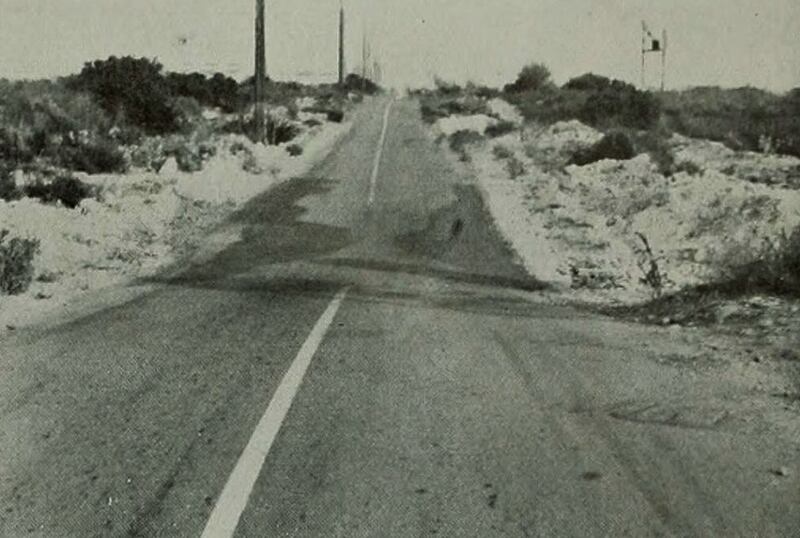 It dates to 1939 and shows 19th Street between Upland and Alta Loma, looking east. Notice the dip? Want to share a memory about the dips or the bumps? Leave a comment. 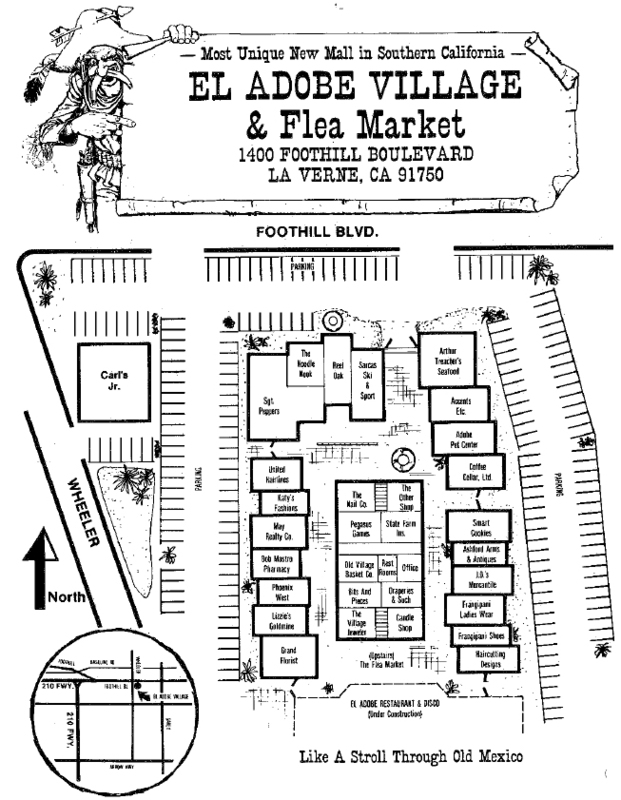 Rather than a town of ancient cliff dwellers, El Adobe Village was a shopping center in La Verne. Located at Foothill Boulevard and Wheeler Avenue, it was a unique-looking series of buildings. Let’s let Eric Scherer of the city planning department tell the story. There’s even a personal note to it. “Originally constructed in several phases between 1977 and 1979, it was designed with Spanish-style architecture, interior courtyards, fountains, smooth plaster, large wooden gates at the entry points, ‘desert’ landscaping (what we would call drought-tolerant today) with the main anchor being a large Carlos O’Brien’s Mexican restaurant that had live entertainment. Some women would complain, however, as the walkways were purposely uneven and it was difficult to walk through the center while wearing heels. “The building housed many shops, some of which remained within town at different locations after the center closed (Sarcas Ski and Sport, Bob Mastro pharmacy, and JML Haircutting (the only one still open today)).There was a Sgt. Pepper’s restaurant too… although it seems like that was just a sandwich/salad type place with no real theme (imagine the possibilities!). The center also boasted a pet store, a Chinese restaurant and a sweet shop. “As a kid, being able to run around the interior corridors, play at the fountain and explore the place while my mom was getting her hair done at JML Haircutting was one of my favorite things to do growing up in La Verne. “Having these interior corridors, however, proved to be the reason why the center was not successful. The development was designed mainly with access to the shops taken from within the courtyard area, with one building being located completely within the center, with absolutely no visibility from Foothill or Wheeler. Thank you, Eric. 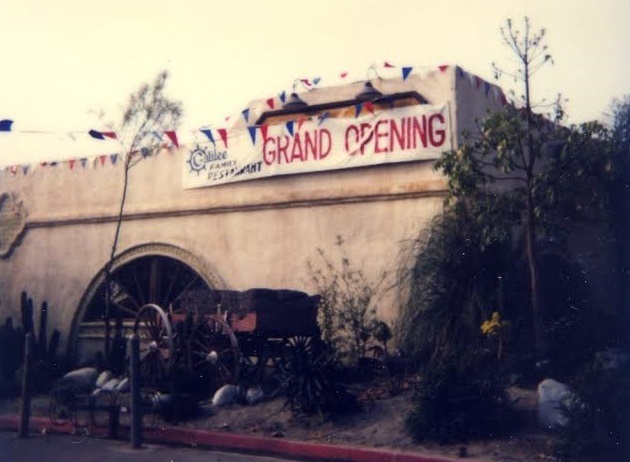 He also notes that the Cattleman’s Wharf/Toppers building, subject of a previous blog post, was next door. The accompanying photos from the planning department’s files give a rough sense of the property and were taken in 1981. 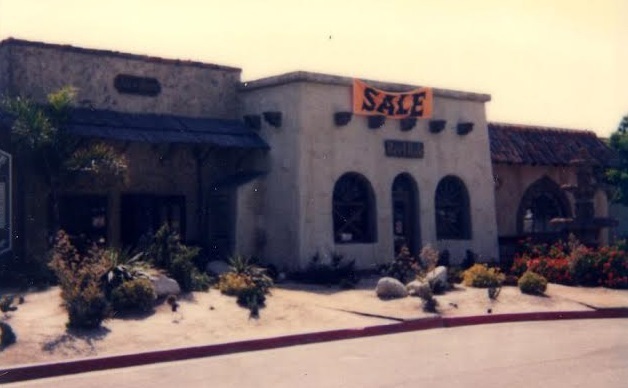 Do you remember El Adobe Village and its shops? 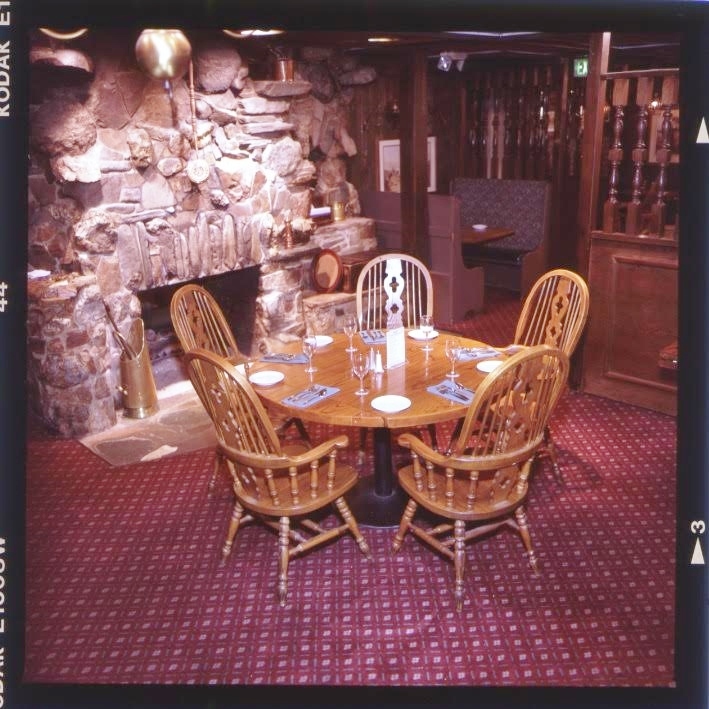 Based on the photos, there was an Arthur Treacher’s fish and chips eatery. 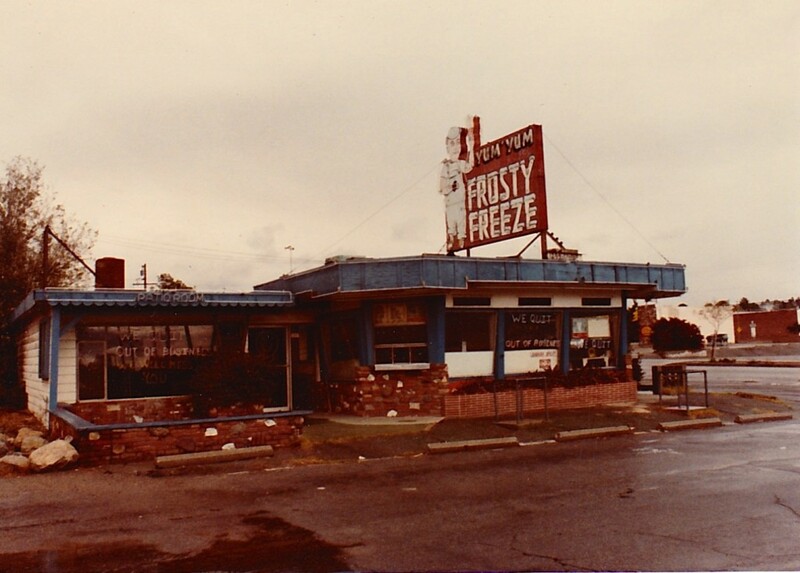 Frosty Freeze was a teen hangout on Foothill Boulevard in eastern Upland across from Memorial Park. Some called it Yum Yum’s Frosty Freeze, or just Yum Yum’s. From the sign, it looks like the phrase wasn’t necessarily intended as part of the name, but I can see the appeal of calling the place Yum Yum’s. 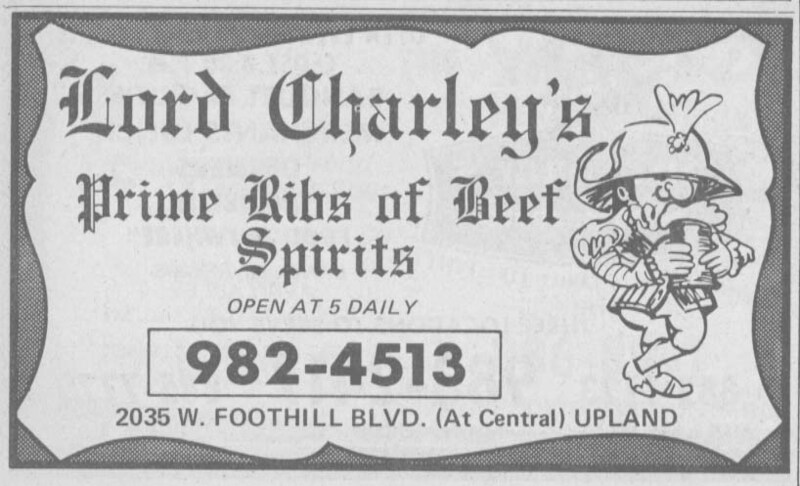 One habitue was future crime novelist Joseph Wambaugh, who told me a few years ago that Yum Yum’s was a favorite hangout for him and the rest of the Chaffey High crowd in the 1950s. Do you remember Yum Yum’s Frosty Freeze?